General Release Notes from the June 29th 2018 update. Attention Non-Cloud Users: After downloading the update, please remember to open TRAKnet on one PC and leave that TRAKnet running for at least 4 hours. This will provide time to complete the initial Sync of data to the Patient Portal. Cloud databases will sync in the background and do not require this initial sync time before using the portal. Implemented automatic login for Gladinet. This will automatically log into the cloud multimedia software when you log into TRAKnet, and will log out when you exit TRAKnet. 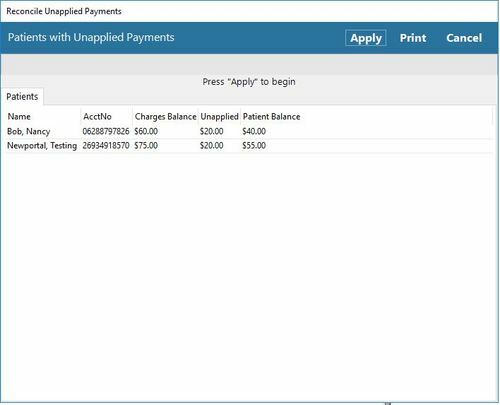 Implemented the ability to automatically post unapplied patient payments from the Patient Statements screen. Implemented a new Pending Claims query. This new query can be exported and can show the denial/remark codes. 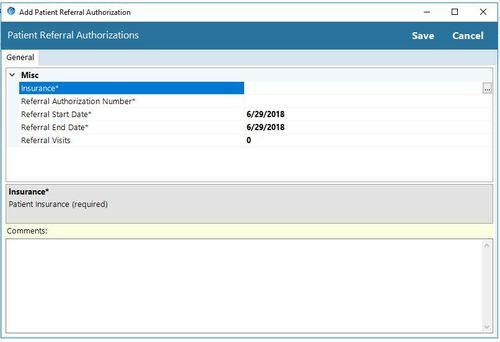 Implemented the ability to add comments when entering or editing prior authorizations. 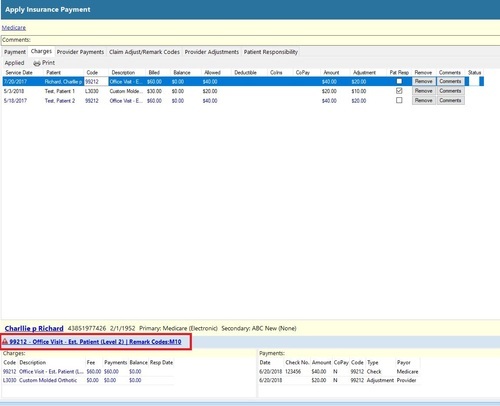 Implemented the ability to view remarks while viewing applied charges in the remittance. Implemented the Patient Portal. Click here for a guide to setup the new portal. Implemented a change to the Bako order form which removes background shading to reduce ink consumption when printing Bako forms and improve readability of the form. Implemented changes to the All Tasks list in the Tasks tab. Added a filter to show completed tasks. Added a filter and column to show the last modified date. Added the ability to export the task list to Excel. Implemented a new MIPS template for Fall Risk. Resolved an issue wherein the Quality Claims report did not display correctly in the event that a claim associated with the report failed to send. Resolved an issue wherein the Emergency Access indicator would disappear if Amergency Access mode was revoked without logging out of TRAKnet. The program must be restarted after requesting or revoking Emergency Access before the change takes effect. Resolved an issue wherein, under certain circumstances, the Advancing Care Information report would not finish executing. 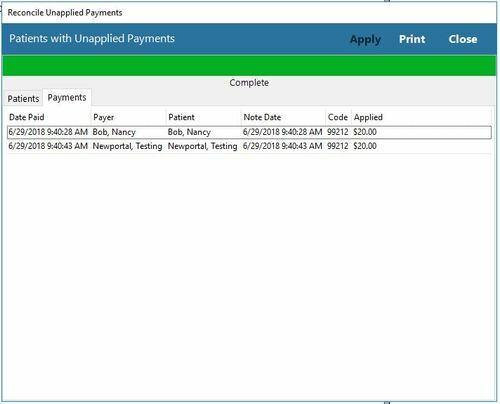 Released the ability to manually start the Patient Portal Data Sync. Click here for a guide to starting the manual sync process.